To the east side of the house is a pleasant courtyard formed by a group of outbuildings. 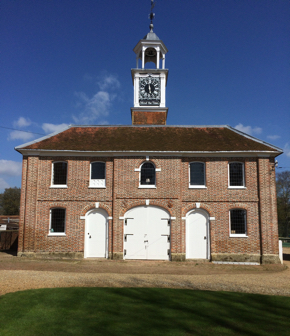 The beautifully designed Grade 1 Stable Block (now a private residence), probably contemporary with the house despite the date on the clock, has a gigantic clock turret and cupola rising as high as the building itself. 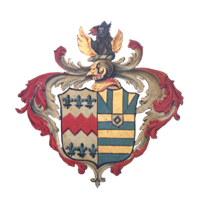 This turret may have been an afterthought though, since the rear face of the gold painted and finely ornamented clock is dated 1736. The face over the courtyard bears the admonition “Mind the Time”. 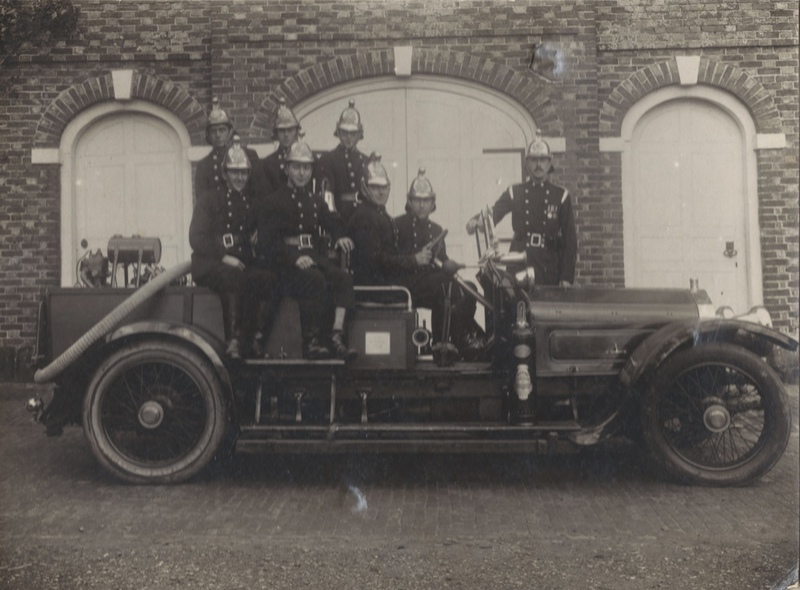 The single-handed clock still retains it’s original mechanism and the six-side cupola is crowned with a fine weathervane, renewed by Bold Marchant, Thomas’s son, in 1779. In the two circular windows of the turret were formerly two very rare mediaeval stained glass 15th century calendar series roundels from a set illustrating the months of the year. 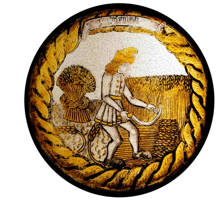 The Labours of the Month were bought in sets and were a favourite subject for stained-glass roundels set into windows in domestic settings. 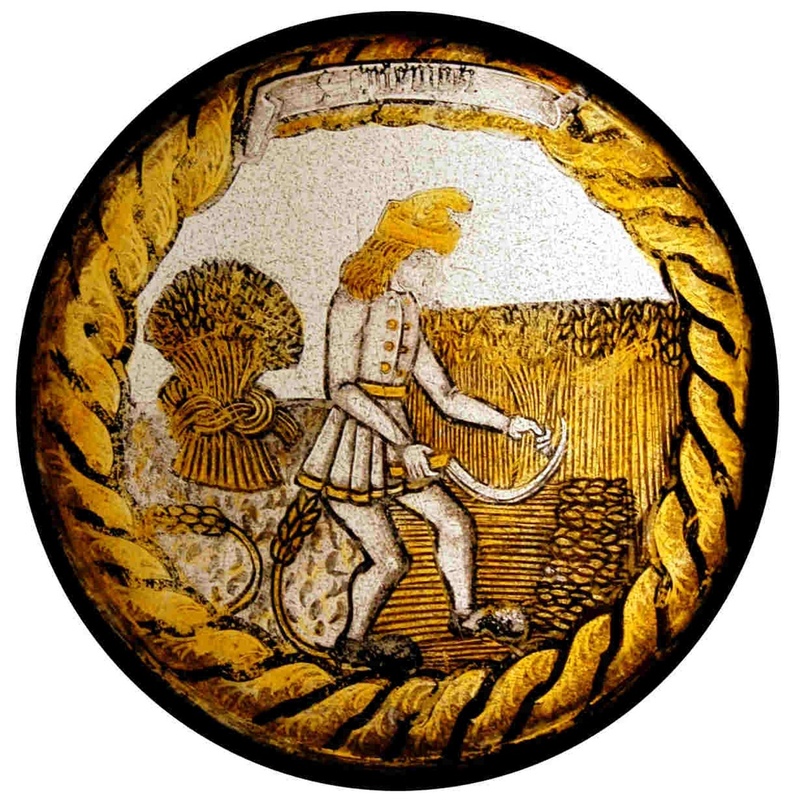 Painted on a single piece of white glass with glass paint and silver stain, they depicted seasonal activities in the yearly cycle of agricultural life familiar to most medieval people. 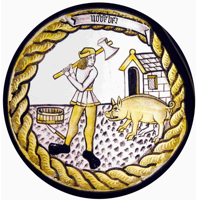 With the revival of interest in medieval art in the middle of the 19th century, the Labours of the Month again became popular subjects. 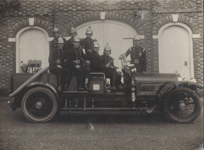 Where these originated from is not known, but they were donated to the Victoria and Albert Museum when the Marchants sold the house in 1952 are now on permanent loan to the stained glass museum at Ely Cathedral. We have installed faithful replicas. The first, illustrating September with a harvest scene. Here, a labourer with a sickle prepares to cut a handful of corn that will join the pile at his feet. Behind him, a standing sheaf of corn has been bound with plaited stalks. 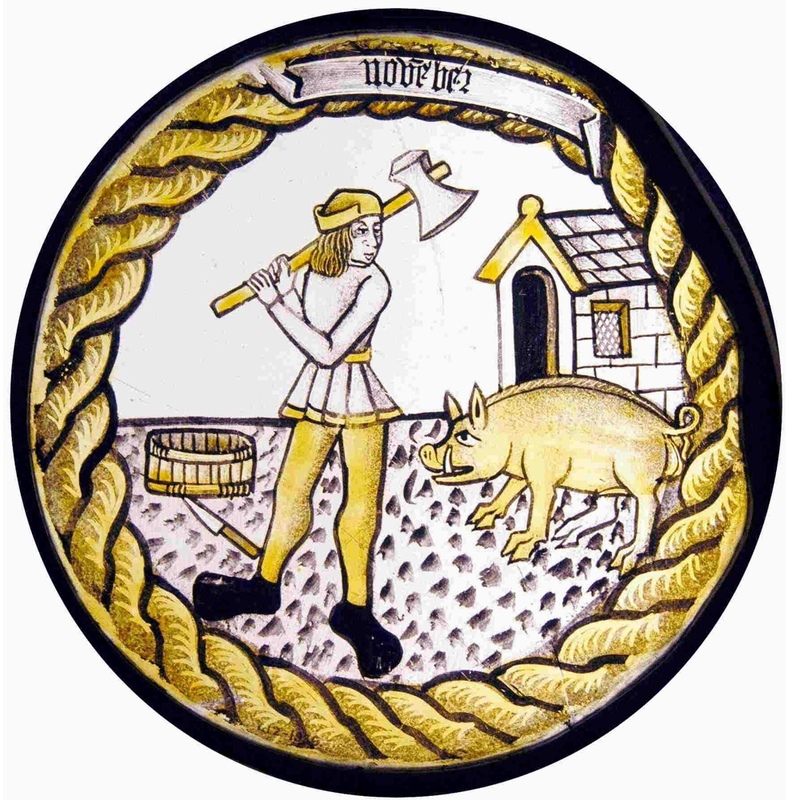 The second, within a twisted rope border a labourer brandishing an axe turns to face a boar on the right. On the left is a knife and a bowl to collect the boar's blood. 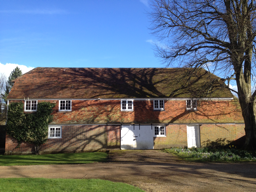 To the right of the stables is a Grade II* Barn originally for oats, which substantially predates the house and is probably early C16th. There is evidence remaining of the original timber slots for threshing boards inside the door posts. 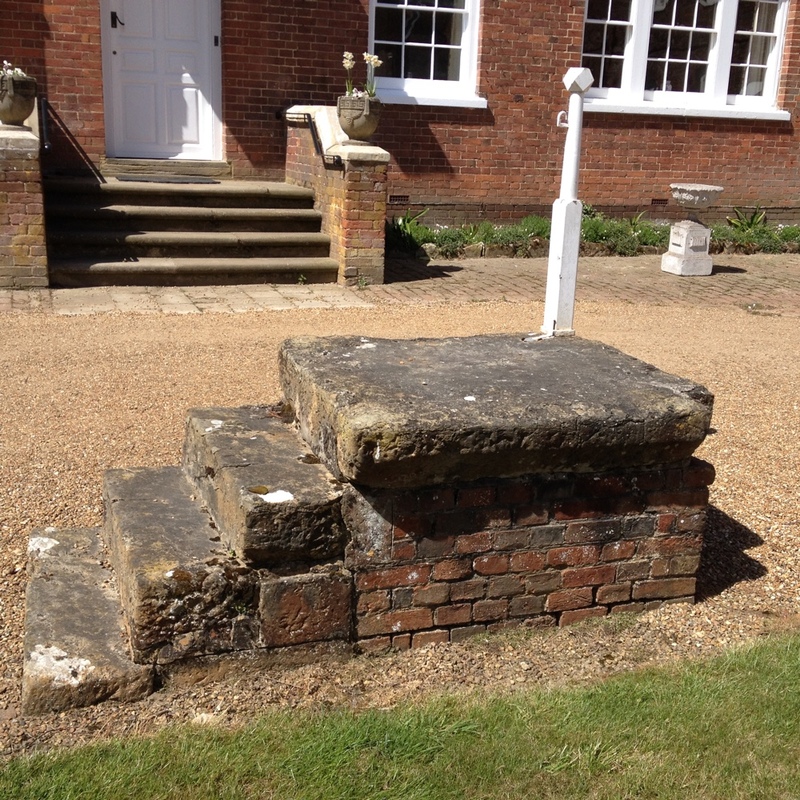 The side of the barn facing the courtyard was faced with brick at the same time as the stable block was built. 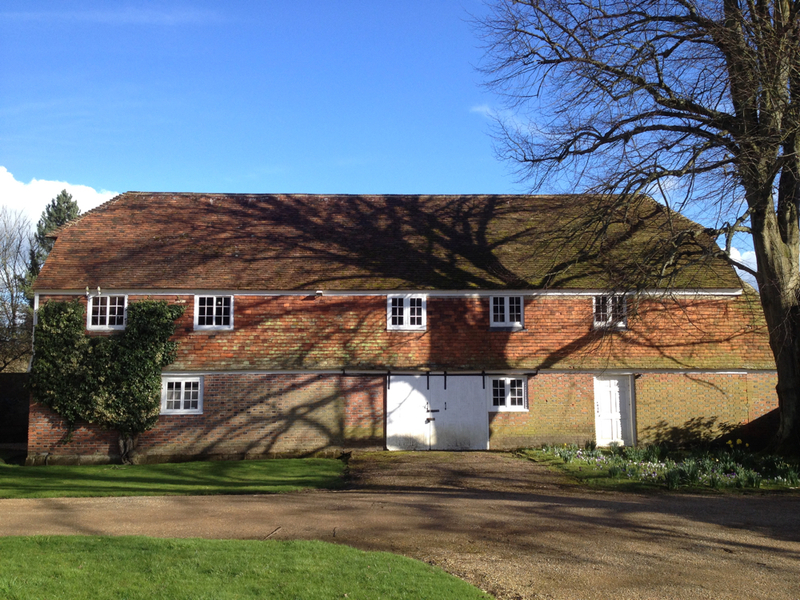 Forming the east side of the courtyard is another stable building, Grade II* and contemporary to the house. This building is to be converted to two houses in 2018/19, which will then be available to rent under Assured Shorthold tenancies. 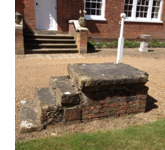 There is also an old Grade II mounting block and post in the centre of the courtyard.